What is the tuition at Marin Academy? Tuition at Marin Academy for the 2018-2019 school year is $45,755. There are additional charges that cover books and other incidental expenses that average between $600 and $900 per year. What is Marin Academy looking for in a student? We seek to enroll students who demonstrate a love of learning and have the ability to pursue a challenging college preparatory curriculum that is balanced by participation in a broad array of activities outside of the classroom such as athletics, service, the arts, and outdoor education. Our students and faculty work together to create an environment in which every member of our community can take on the greatest possible challenges—and succeed at them. The Admissions Committee, comprised of faculty, administrators, and staff, assesses the information given on the parent and student applications. We make our academic assessment by looking at grades from the last two years and the first semester of the current year, the results of test scores and writing samples, as well as the recommendations from teachers and the school principal or counselor. The results of standardized test scores play an important role, as do extracurricular activities that complement the student’s academic pursuits. We want to become familiar with a student’s extracurricular interests and personal characteristics. 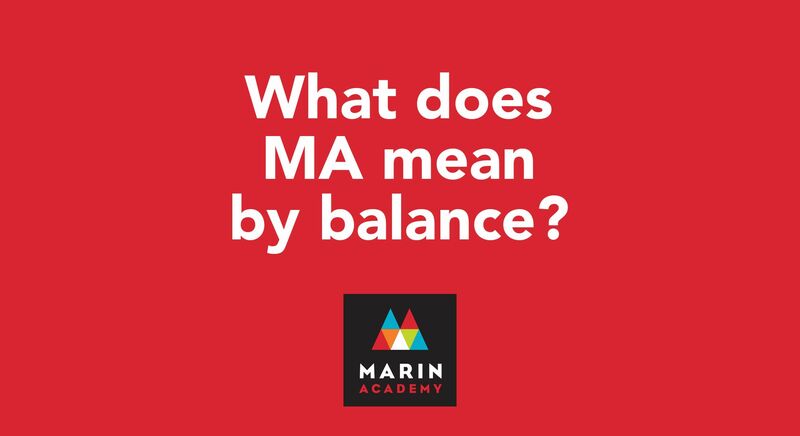 When our Admissions Committee makes its recommendations, we want to be confident that the student is the right match for Marin Academy, meaning he/she will feel comfortable finding their place in a school that places a high value on its student centered cooperative and collaborative working environment. We encourage applications from students of all races, national and ethnic origins, religions, and physical abilities. As diverse as they are, our students have one big thing in common: they are appreciatively immersed in an educational environment that encourages compassion and commitment. Marin Academy students are serious about learning and are already on a path towards becoming caring and responsible citizens. Our average acceptance rate is approximately 20%. Which standardized tests are accepted with the application? To ensure consistency between applicants, we strongly encourage that candidates who are applying to MA for ninth and tenth grade submit results from the Secondary School Admission Test (SSAT, upper form only). Marin Academy's member code is 4852. Please refer directly to the SSAT website to set up your test date. The SSAT should be taken in the fall or winter of your eighth-grade year. Official results must come directly from the test administrator. Recognizing the SSAT is not an option for all applicants, we will also accept the following alternative standardized test scores: ISEE (school code is 053212) and ERB (no school code - test scores must be sent to us via PDF). Note: All applicants are required to submit scores to Marin Academy by the application deadline. 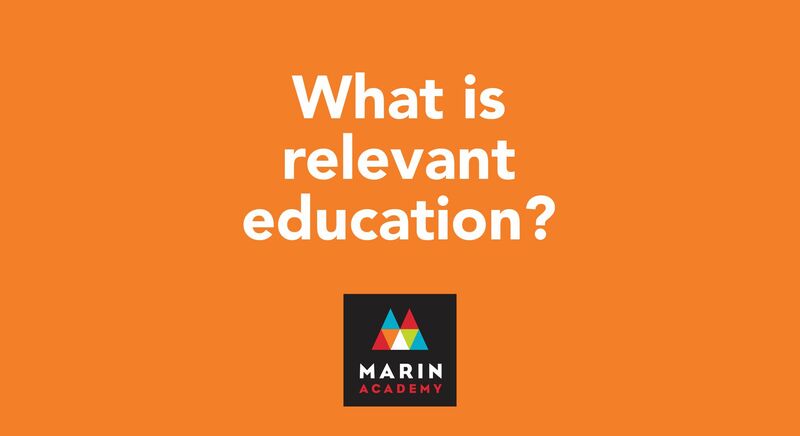 Are school visits and open houses required of students who are applying to Marin Academy? Neither student visits days nor open houses are required. We do encourage prospective students to attend either a visit day or an open house to learn more about MA. Families can attend an Open House together on a weekend, or students can experience a visit day and parents can attend a Parent Information Session during the week. 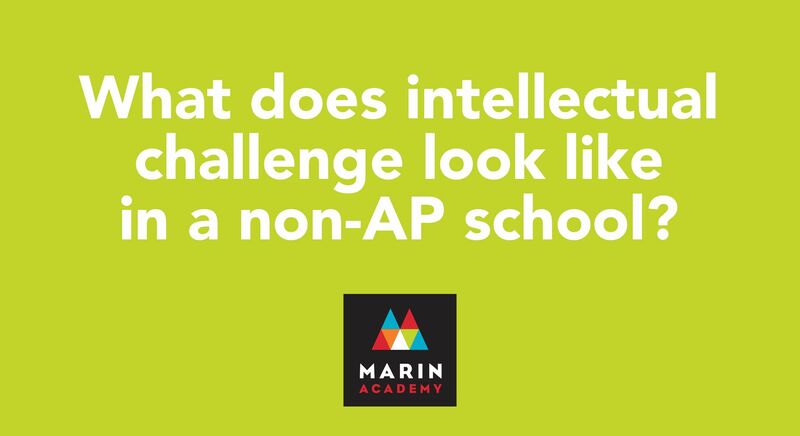 Are interviews required for students who are applying to Marin Academy? What is the Design Workshop Experience alternative? Interviews are not required. Student Interviews are optional, informal, relaxed conversations that offer you a chance to ask questions about MA, and for MA to learn more about you. For your convenience, interviews will be offered on campus as well as selected venues throughout the Bay Area. The Design Workshop Experience, an alternative to the optional interview, is a 90-minute opportunity for groups of prospective students to collaborate, design, and problem solve as a team in the MA design lab. What are the transportation/bus service options? Nearly 30% of MA students hail from beyond Marin County. In order to facilitate travel to and from campus, MA contracts with Michael's Transportation and KidzJet to provide daily bus service connecting both San Francisco and the East Bay with our campus in San Rafael. Bus routes are convenient to many neighborhoods in the City and in the East Bay, and allow students to depart campus both immediately after class and after afternoon athletics and arts commitments. Our transfer acceptance rate is greatly influenced by attrition and class size. In the past few years, we have admitted as few as one and as many as eleven transfer students in a given year. We do encourage students in good standing at their current school to submit an application. The application process for a transfer student is the same as a prospective 9th grader: Campus Visit and Open Houses are encouraged but not required. An interview as well as the application is required and must be completed by January 10, 2019. We will accept standardized tests from previous years if available (like the SSAT). However, if you have more recent standardized test scores to share (PSAT or other), please be sure to send those to us as a PDF via email to admissions@ma.org. What is the curriculum like at Marin Academy? The curriculum is rigorously college preparatory with highly developed requirements in all academic areas, the arts, and physical education. The academic program consists of over 100 course titles in seven departments. More than 60 elective courses are available across all disciplines, including honors work in every department. The academic program is enhanced by an exemplary Visual and Performing Arts Department. The co-curricular programs include an outdoor education program, a community service learning program, a required week of experiential education each spring, and a well-developed interscholastic athletic program. View the 2018-2019 course catalog. Where do Marin Academy students go on to college? Marin Academy students apply to and are accepted at leading colleges and universities around the country. Over 99 percent of our graduates attend four-year colleges after graduating from Marin Academy, more than half of them out of state. For more information, please visit our College Counseling page and click Life After MA. How do you define diversity and multiculturalism at Marin Academy? In its broadest application, diversity and multiculturalism are about age, family make-up, gender, race/ ethnicity, religion, sexual orientation, ability, socioeconomic status. 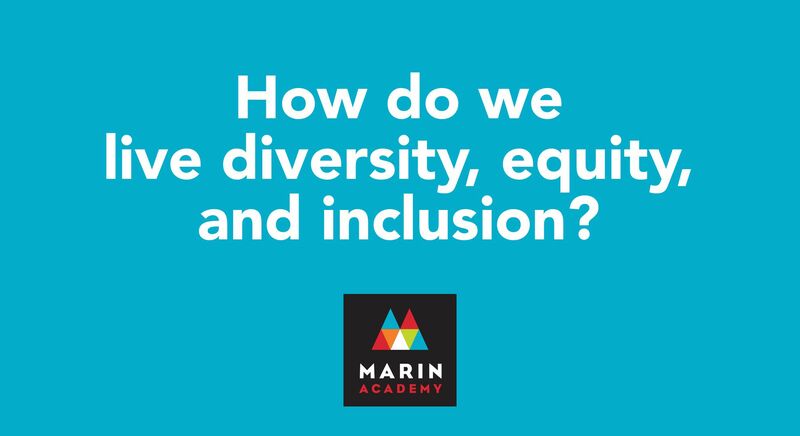 Marin Academy includes these social identifiers in its definition of diversity and multiculturalism, but we understand it to encompass far more. Diversity and multiculturalism are also about fairness, equity, and access to information; academics that are collaborative, student focused, and experiential as well as individual, teacher centered, and traditional; curricula that teach students to create and be responsible for their own work. It is about making connections between seemingly disparate issues and subjects. We do not have merit scholarships. All tuition assistance is awarded to families based on need alone. For additional information about tuition assistance, visit our Tuition Assistance page, or email us at admissions@ma.org. If your needs are more immediate, please contact the Admissions Office by phone at (415) 453-2808 or by fax at (415) 453–8905.